Chris Weiss June 30, 2011 Comment Now! Wicked awesome. 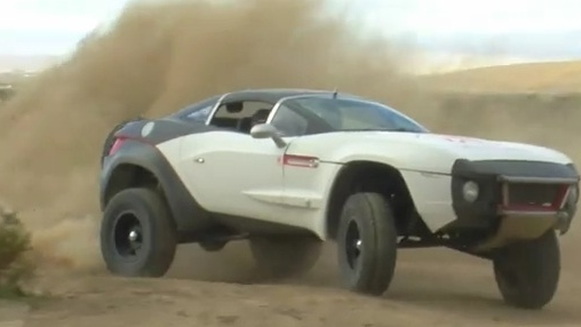 That's how Local Motors (and much of the world) thinks of its first car, the Rally Fighter. In a new video from Translogic, CEO and co-founder Jay Rogers explains that when you open car design up to the masses, you're bound to get an overwhelming majority of amateurish rubbish (he didn't go so far as to say rubbish, but we're sure it was on his mind). But, in that creative process, all it takes is one seminal gem, one semi-cohesive vision to inspire the masses and give you something that is wicked awesome. 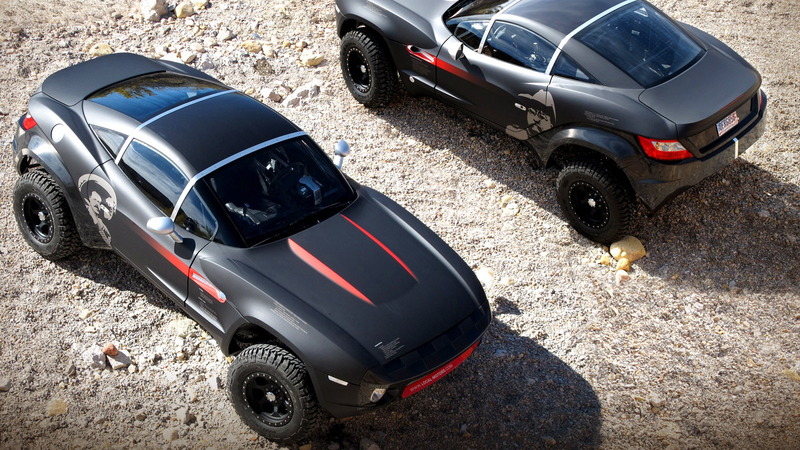 And Local Motors' first serving of wicked awesome was the Rally Fighter. 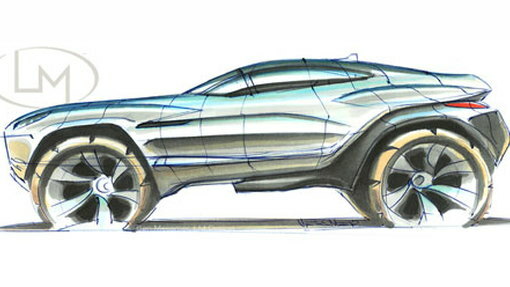 First envisioned by Sangho Kim in 2008, the Rally Fighter was developed from the ground up by an online community of designers. Sound like chaos? Well, when you have a group of executives setting parameters, it's more like organized chaos. And looking at the Rally Fighter, the term organized chaos is certainly applicable. 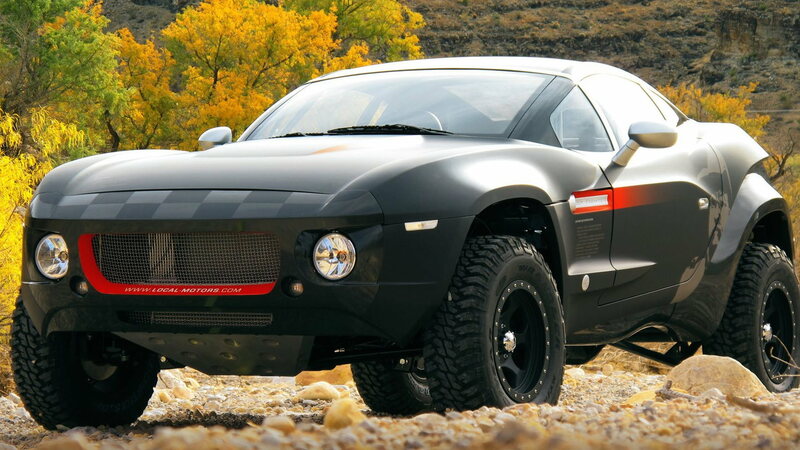 The 'Fighter is an unlikely combination of big, burley off-highway jeep with the sensibilities of a street-legal car. It features a 430 horsepower 6.2-liter LS3 V-8 engine driving the rear wheels, a tubular steel space frame, carbon fiber parts and an approximate 3,200-pound curb weight. And from what we've seen, it tears through everything from dirt to sand to mud with ease. video clip is the most intriguing that we've seen yet. It's a mix of host Bradley Hasemeyer slicing through the dusty Phoenix desert and a one-on-one interview with Rogers, providing a little insight into Local Motors' crowd-sourced, micro-factory production model. It's nearly everything we could ask for, save perhaps for full-speed sand runs set to heavy metal. If you're not a down-and-dirty Rally Fighter kind of auto fan, Local Motors should have its next great idea sometime soon.